The support act were amazing and set the tone for the group! I’ve never seen pigeons before but the night was amazing, Matt’s energy was brilliant and he was crazy! Really enjoyed and definitely will see these guys again! Amazing! The Pigeon Detectives always give a brilliant, energetic performance. I love going to watch them and will definitely be going again. "Lived up to the expectations and more"
My son has seen the Pigeon Detectives on two previous occasions and said it was the best live band he has seen. I like the music so went along. What a show. The band were rocking, the crowd was electric and the atmosphere was worth the money alone. The majority of the crowd were very familiar with the music but it didn't matter, the tempo and the showmanship would have converted a previously unaware fan. Cannot wait to see them again. 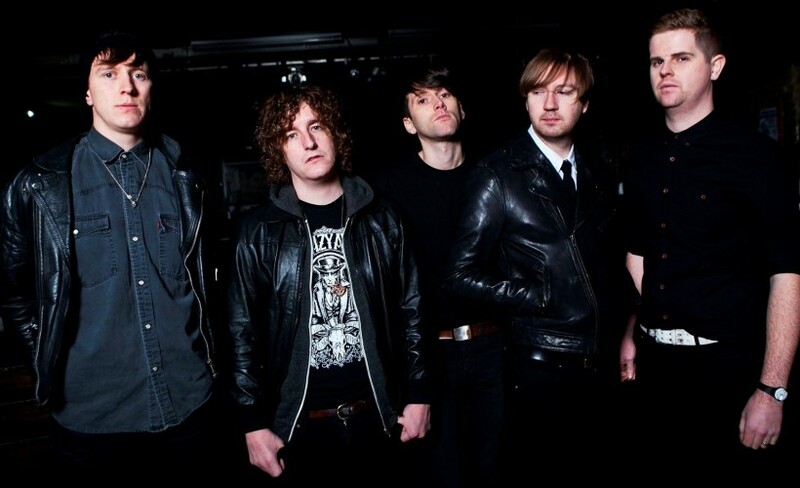 Essential indie rock band The Pigeon Detectives are about to get on stage and show you how it’s done. Last year saw the release of their fifth studio album Broken Glances which features the single Lose Control. Get excited, because Gigantic can now offer you The Pigeon Detectives tickets. But do not hang around because demand is high and they will sell out very quickly. Fortunately, we make placing your gig tickets order nice and easy by enabling access to our site 24/7 using your computer, smartphone or tablet whilst relaxing at home or busy and on the go. See them when they burst onto the stage of The Leadmill in Sheffield on Friday 14th of December 2018. The Leeds band began in 2002 and unites childhood friends Jimmi Naylor who plays drums, singer Matt Bowman, guitarists Oliver Main and Ryan Wilson plus Dave Best on bass. By 2006 they were getting a lot of attention owing to their exciting gigs and the limited 7” vinyl singles I’m Not Sorry and You Know I Love You, earning them a support slot with Dirty Pretty Things. Their debut album release came in 2007 and was entitled Wait For Me. It hit #3 in the UK album charts and has subsequently achieved Gold certification. They have continued their success with subsequent albums Emergency (2008), Up, Guards And At ‘Em! (2011), We Met At Sea (2013) and their latest; Broken Glances (2017). With only a limited amounts of The Pigeon Detectives concert tickets being made available by the organisers, we do urge you book early to avoid any disappointment. Gigantic has proudly provided excellent customer service for ten years so everyone knows where to come when booking your essential gig tickets for your big night out.